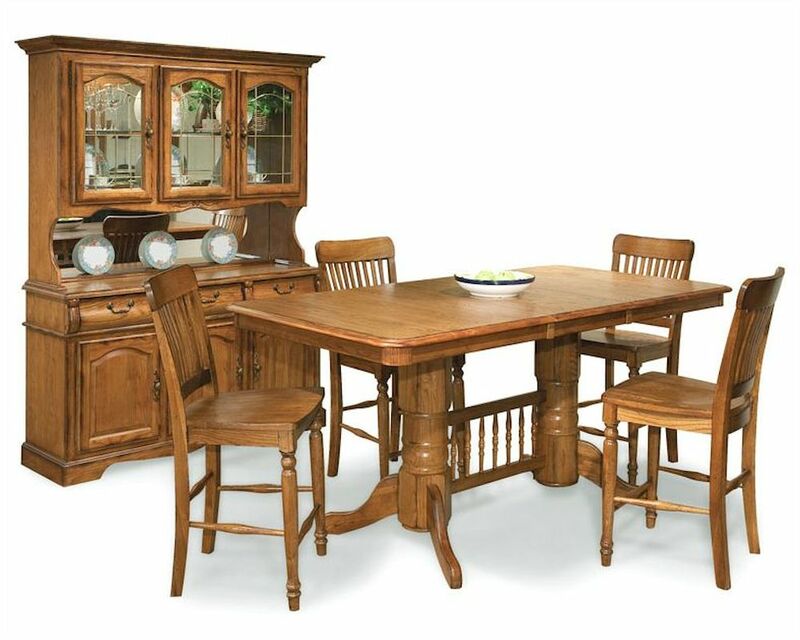 Intercon Solid Oak Counter Height Dining Set Classic Oak INCOI4078SET. 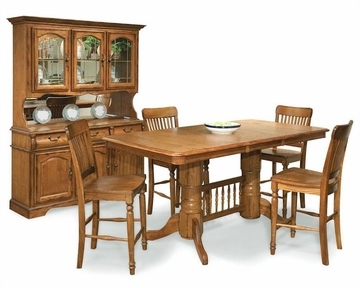 The Classic Oak Counter Height Dining Set From Intercon Is Made From Solid Oak And Finished In Burnished Rustic. 1 x Counter Height Trestle Dining Table Top IN-CO-TA-I4078B-BRU-TOP. 1 x Counter Height Trestle Dining Table Base IN-CO-TA-I4078B-BRU-BSE. 4 x Slat Back Pub Chair IN-CO-BS-1110-BRU-K24. Slat Back Pub Chair - 20"W x 22.75"D x 41.75"H.
Ultra glide, ball bearing table slides for easy opening and closing. Chairs assembled with Super Bond Epoxy for superior durability.